The new Yamaha Viking is Yamaha's first new UTV in over 10 years and they didn't disappoint with the release of this side by side. 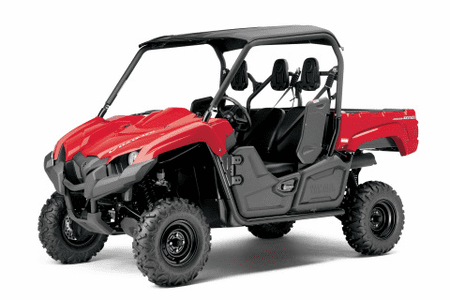 Here at Side By Side Sports we have all of the Yamaha Viking parts you will need for your UTV. If you want to take your Viking to a the next level, you will want to check out or performance sections which include exhaust, clutches, CDI Boxes etc. all you will need to give your Yamaha Viking the power you are looking for in a side by side. Here at Side By Side Soprts we have a huge slection of parts and accessories for your Yamaha Viking. Whether your looking for wheels, tires, lighting, mirrors or roofs we can help you with that. We also offer items such as windshields, enclosures, winches, bumpers, doors, seats and harness's. Whatever your needs may be Side By Side Sports is your one stop shop for all your Yamaha Viking needs.